There has been a lot of coverage about China's presence in Central Asia, and therefore, its competing position against the Russia-led Eurasian Economic Union (EEU). A dominant view held by many Russian elites believes this has led to mutual distrust between the two. Due to such concerns, Russia didn't give an initial positive response to China's Silk Road Economic Belt initiative. It didn't show enthusiasm for China-led Asian Infrastructure Investment Bank (AIIB) in the first place either. Only after dozens of other countries joined the new institution one by one, did Russia decide to become a founding member of the AIIB. In fact, China signed a joint declaration with Russia to upgrade the strategic partnership between the two countries in 2014 to ease Russia's concerns. China highlighted Russia's position in the EEU and Russia affirmed the importance of the Silk Road Economic Belt, thus enabling the two to look for common ground in the two regional institutions. When Chinese President Xi Jinping met Russian President Vladimir Putin in February 2014 in Sochi, Xi welcomed Russian participation in the Silk Road project. Responding to Xi, Putin pointed out that Russia's Trans-Eurasia railway, an important connector between two continents in terms of logistics and transportation, could play an important role in the Silk Road Economic Belt project to create much more benefits. Therefore, China proposed the creation of an economic corridor with Russia and Mongolia, which would connect China's Silk Road Economic Belt to Russia's transcontinental rail plan and Mongolia's Prairie Road program. 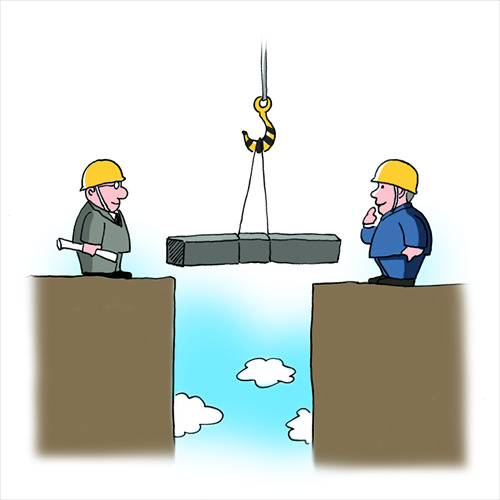 Besides, China's drive to rejuvenate its northeastern industrial bases tallies favorably with Russia's eastern Siberia and Far East development strategy, which will attract investment from Japan and South Korea and boost regional economic cooperation in Northeast Asia. Still, the creation of the Silk Road Economic Belt might raise concerns that the new infrastructure and transportation projects would compete with the Trans-Siberian Railway, which connects Moscow with the Russian Far East and the Sea of Japan and remains the most important transport link within Russia. However, the countries involved can negotiate with each other and come up with new policies that could reduce the conflict of interests. The Central Asian countries have high expectation for the Silk Road Economic Belt. For example, Kazakhstan announced its new Silk Road plan, pledging to upgrade its infrastructure and transportation in order to become a key location along the road. Cities of Uzbekistan like Bukhara and Samarkand were also located on the ancient Silk Road, which used to be the centers of trade. Under the new Silk Road project, they are making their own infrastructure construction plans and expecting to play an important role in building the China-Kyrgyzstan-Uzbekistan traffic corridor. The EEU is characterized by economic integration, which is not a feature shared by the Silk Road Economic Belt. This project is aimed at developing infrastructure networks and connectivity, pushing trade and investment and enhancing economic and financial cooperation. In addition, the project will help strengthen energy partnership while increasing cooperative projects in environmental protection and cultural communication. Both China and Russia will benefit from the economic cooperation and cultural communication highlighted not only by the Silk Road project but also by the EEU.